When it comes to food, it all depends on our mood! Sometimes we’re in the mood to get all gussied up and open up those wallets. Other days, we’d rather pinch those pennies but don’t want to compromise on some really great food. Whether you’re looking for chic eats or cheap eats in Las Vegas, this list of local restaurants will help you decide on some great places to dine, no matter how light or heavy your wallet is feeling. When you’re hankering for some gourmet Mexican food but aren’t willing to spend a small fortune for tacos, make your way to Casa Don Juan. This family-owned restaurant is focused on delighting every guest with a genuine dining experience. 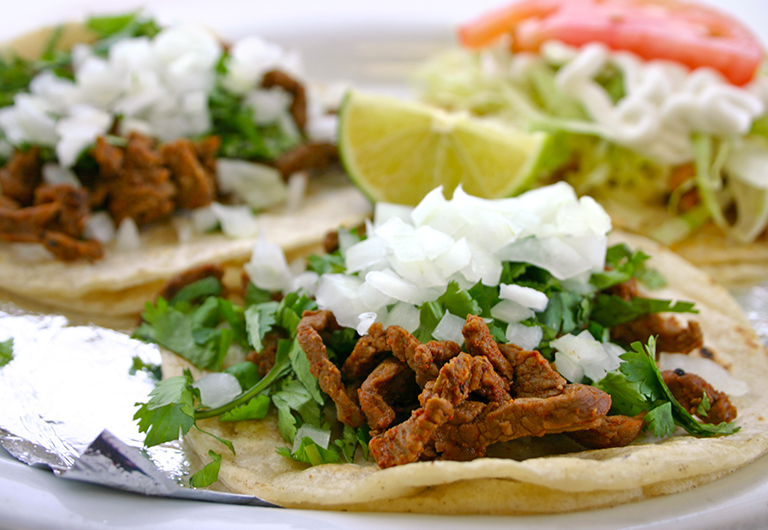 They serve delicious, fresh classics like burritos, menudo, tortas, and more. Relax with friends and family and enjoy the fun flavors of real Mexican cuisine. And of course, don’t forget the tequila! Enjoy a lime, traditional, mango, or strawberry margarita with your meal. There’s also the Tequila Sunrise, Pina Colada, and plenty of cervesas to go around. Get ready for one quick Uber ride because your next casual dining gastropub experience is only about five minutes away from your Juhl condo! Nevada Taste Site is brand new to the Valley and pays homage to everything local. Here, you can enjoy Nevada-brewed beers like Joseph James, Big Dogs, and Tenaya Creek while chatting with your buddies around a Nevada-shaped pub table. This family-friendly restaurant is a great place to stop in for a quick lunch while you’re out shopping or checking out some of the stores and museums Downtown. With a belly full of yummy food and a heart full of local support, Nevada Taste Site is sure to be your favorite neighborhood pitstop. If it’s Asian cuisine you have on your mind, then you should definitely stop by Shinya Maru. Considering the spectacular ambiance and high-quality authentic ramen, you’ll be shocked to see such a low bill after your meal. As soon as you walk through the door, you’ll know why the restaurant is named after the traditional Japanese name Shinya, meaning “truthful one”. The recipes are truly authentic and there’s nothing to hide at this delicious spot. Shinya is right down the street from The Ogden. 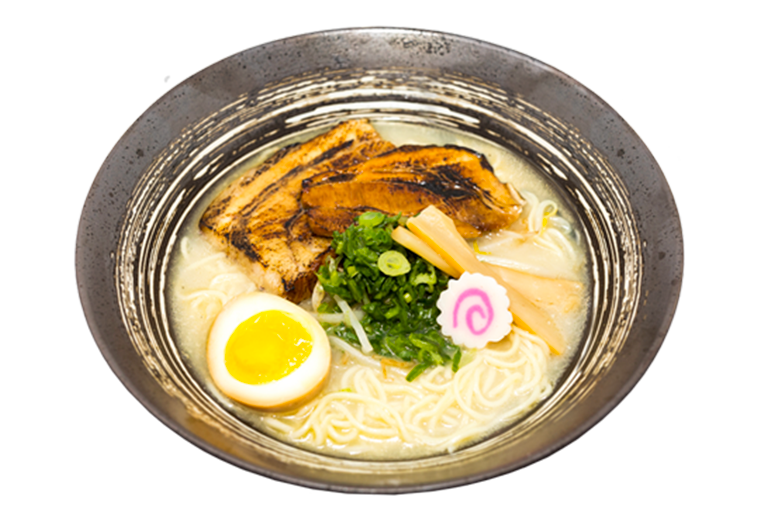 Favorites include the Chicken Double Trouble Dashi Soup, the “Let’s Get Physical” Fried Chicken Ramen, and the Shinya Way to Heaven ramen with a rich, creamy broth. Okay, so you’re ready to splurge… and what better way to splurge than on a classic, elegant, mouthwatering steak? Bone-in Filets, Tomahawk Chops, prime New York Strips… you can find all these and more at Oscar’s. While known for their steaks, Oscar’s didn’t stop at just beef. Their menu boasts small plates including Crazy Phil’s Onion Soup, Coniorte’s Corn and Crab Bisque, and Cardini’s Caesar Salad. For entrees, you can choose from picks like Nicky’s Roasted Chicken & Artichokes, Cedar Plank Blackened Salmon, and many more. However, if you’re sold on steak, the staff will be happy to recommend which cut of steak suits your preferences. 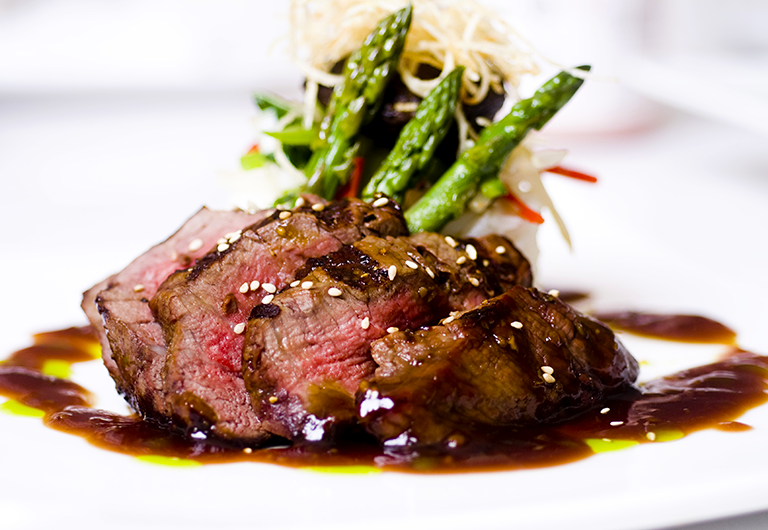 Each perfectly-aged steak is cooked over a 600-degree grill, making them flavorful, juicy, tender, and truly perfect. They’re also accompanied by high-quality, made-from-scratch sides. Red is located inside the Golden Nugget Casino Downtown and features hand-rolled sushi, fresh sashimi, savory ramen, and plenty of sake and beer options. The chic, mysterious setting is the perfect start to your night and with a few saketinis down, there’s no telling what the evening may hold! Catch happy hour every day from 4pm to 6pm. You positively cannot have a splurge night without taking a trip to the Strip and eating at a restaurant run by one of today’s most famous chefs! Gordon Ramsay’s Pub and Grill is a place every local should try at least once. Once you’re able to get over the fact you might be spending around $30 on fish and chips, you’ll have no problem shelling out a few extra bucks when you taste them. An absolute must-order when dining at Gordon Ramsay’s Pub is the short rib kettle chip nachos. They’re a great appetizer (or meal!). Other go-to menu items include Ramsay’s Beef Wellington, Shepherd’s Pie, and Roasted Scottish Salmon. The word “peas” doesn’t usually sound very appetizing, and when you add the word “mushy” in front of it… well you’ve gone “absolutely bonkers”, as Gordon might say. But believe us when we say that when you get a side of mushy peas on your plate, your mouth just won’t know what to think. 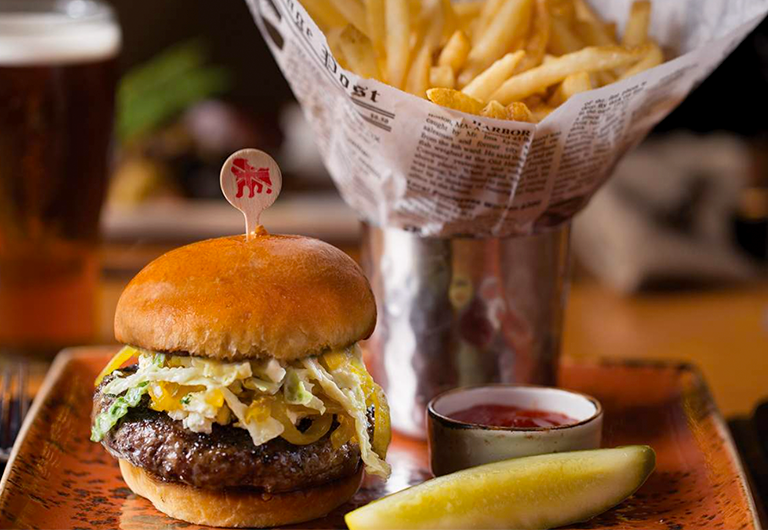 With a fun atmosphere, cheerful staff, and unique food items created by a famous chef, Gordon Ramsay’s Pub and Grill should definitely be on your list of splurges. Whether this list made you want to start digging in your couch cushions for some change or blow your next paycheck on an extravagant meal, you now have a substantial list of amazing restaurants in Las Vegas to choose from for any occasion and budget!